Police used bean-bag rounds to stop a man suspected of vandalizing several cars in University Heights in the early morning hours Saturday. 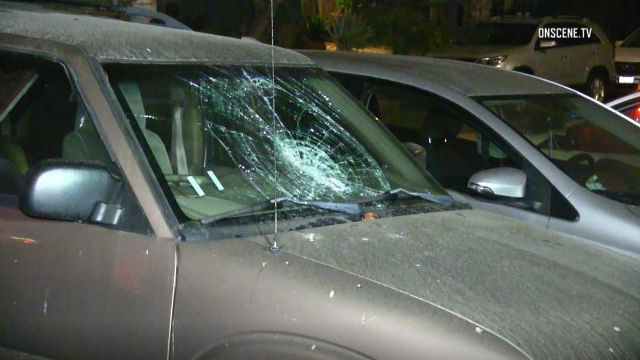 Dispatchers received word of a man intentionally damaging multiple cars in an alley off Alabama Street near El Cajon Boulevard shortly before 12:30 a.m., San Diego Police Officer Steve Bourasa said. The man left the area by the time police arrived, but officers spotted him a few blocks away near the intersection of Park and El Cajon boulevards. The suspect, a 23-year-old man, allegedly had a rock in his hand when officers approached him. He eventually dropped the rock, but continued to refuse to comply with officers’ commands, and was taken into custody after officers struck him with a round from a bean-bag gun, Bourasa said.